This online slot game revolves around the finer things in life. It’s all about the luxuries and habits of the rich classes. Think about it…how many times have you wondered what it would be like to win the lottery? In this slot game, you can wrap yourself up in a world of luxury and enjoy the sheer magnificence of sophistication. So get your glad rags out because you never know who you could possibly bump into in this luxurious slot game. Rebets Splendour boasts a traditional 5 reel set up with 25 pay lines. 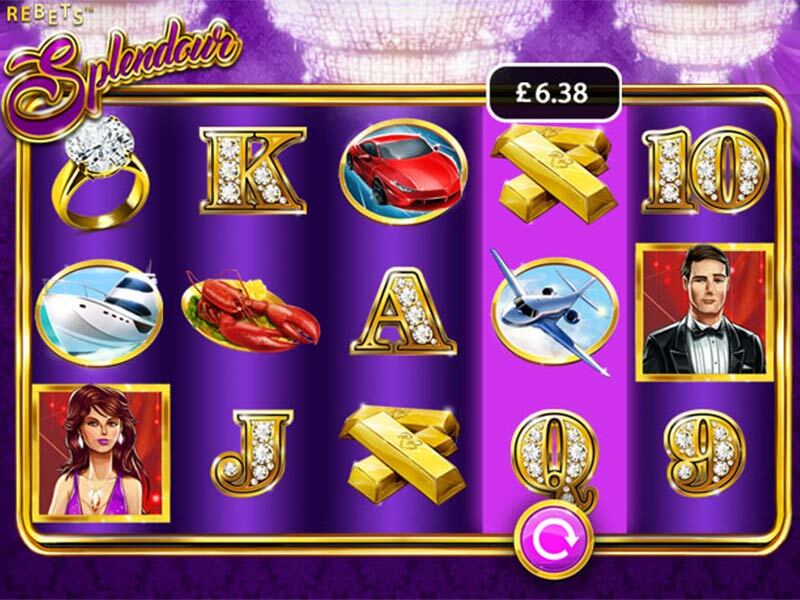 The theme of grandeur is excellently projected throughout this Slots Games from its background to the symbols. If you love promo's, visit SlotsBaby today! Look out for the stereotypical, yet highly entertaining symbols used in this online slot game, for example, there is the ultimate classy gentleman that you would expect to bump into in a night of splendour. Not to mention the classy lady who must be well dressed at all times, then there are sports cars, bars of gold, private jets and diamond rings. Choose your own stake, the minimum bet a player can choose is £0.25 all the way up to £12.50. Playing is made easy – all you have to do is click on the bet field to change/select the amount that you would like to place. Even easier again is that this slot game comes with an auto play function so it’s easy for players to take in the luxury and richness of their environment and not stress about playing! The well-dressed lady forms the wild symbol – naturally. She will appear on reels 1, 3 and will triple the winnings. Look out for the scatter symbol, being that gentleman we talked about earlier. 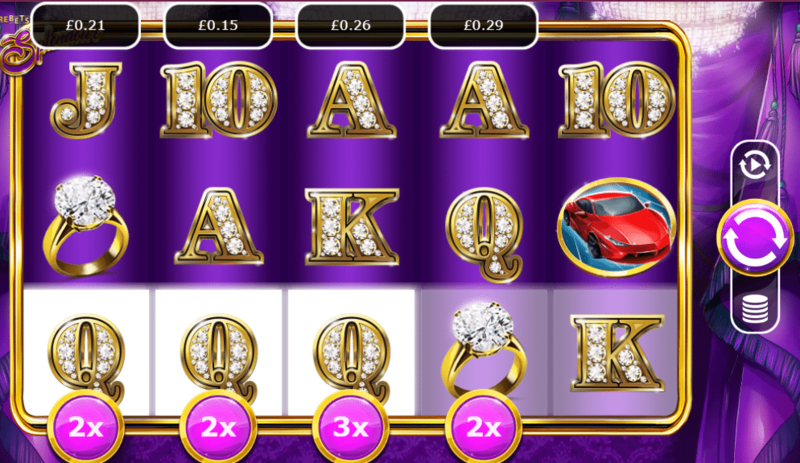 Trigger free games by gaining 3,4, or 5 scatters, anywhere on the reels. These will issue free spin rounds and pay-outs in the value of: 25,20 and 25. 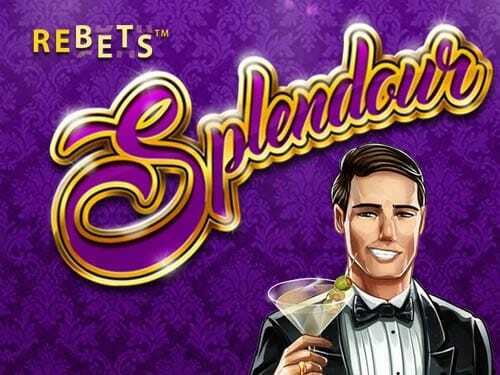 Rebets Splendour is so liberal with its free spins that there is the ability to win multiples of 46x. This is a highly entertaining game and the theme is well designed with strong graphics which will genuinely take you to a world of splendour. Another great addition is the ability to re-spin which means that players can bet again on every single reel. Players just need to click on the arrow above the reel and clicking this will trigger the re-spin. Be ready to join the rich and famous, win some free spins and enjoy playing with sophistication with the auto play function. Oh, and don’t forget to keep an eye out for that well-dressed gentleman and classy woman!